Yeah, Robin! More than 1 per day! 1. Encyclopedia Brown Sets the Pace by Sobol, Donald J. 347. A Horse named Dragon. Here's my list for 2010. Not quite 100 this year. Wait till you see Robin's list! Back issues of our EFCA magazine are now available. [Matt's Messages] "Joy to the World"
I mean, we all know what it is, but it’s hard to define. 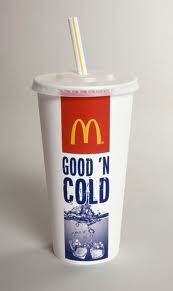 On Tuesday, we stopped at McDonalds on the way back from the airport, and I got this cup full of Coca Cola. And I noticed that one side it says, “Enjoy” in big letters with a splash of water (which is most of what Coca Cola is, I think). Refresh with Joy. And the O in the Joy is fizzy Coke bubbles. Is that what joy is? Is joy found in a cup of Coke? But I think the McDonald marketers are onto something. The Greek is literally, “mega chara.” Mega Joy! Good Christian Men (and Women and Boys and Girls, too! ), Rejoice! #1. JOY TO THE WORLD RIGHT NOW. Joy has come with Jesus and it’s better than regular old happiness. Now, happiness is not bad. And it’s not a bad word. Joy to the World Right Now. Joy! We have every reason to rejoice. I think that joy is my favorite word when it comes to Christmas. It’s that good news about Jesus that brings us true and lasting joy. Especially in the middle of great trials and suffering. Happiness comes and goes, it burns off under the sun of suffering. Not that we love the trials. But that we know that the trials will be used for God’s purposes in our lives, perfecting us. And that’s worth rejocing in. Our family, of course, has been grieving the loss of Heather’s mum. And it hurts really bad. And it should! Crying is the right thing to do when it hurts like this. We miss Heather’s mum. But we rejoice for her. Good news of Great Joy to the World Right Now. But this is not all that there is. #2. JOY TO THE WORLD SOMEDAY SOON. This angel was talking about Jesus’ first coming. His first advent. First, He came, taught, lived a perfect life, died on the Cross, came back to life, and then ascended to His Father. Promising to come AGAIN, a second time to bring JOY to the World in all of its fullness. We often sing it at Christmas. In fact, we’ve sung it every Sunday of Advent this year. But it’s not really about Luke 2. It’s about the return of Jesus and the joy that will come to the world when that happens. But His reign is contested now. Someday soon, His reign will be universal and uncontested. All of nature is going to be happy. It gets down int our DNA, doesn’t it? He will make His blessings known far as the curse is found. Joy to the World, the whole world someday soon. We need to live in expectation, anticipation of that joy. Let this Christmas be a Christmas of JOY for those of us who know Jesus. This Advent season, we are hearing about God’s promises of a Savior to come. God gave these promises through the prophet Micah in Micah chapter 5, verses 2-5. [LIGHT CANDLE #1 AGAIN] Candle One was a candle of surprise. God loves to do big things through small people. [LIGHT CANDLE #2 AGAIN] Candle Two was a candle of promise. God always keeps His promises, even if we have to wait a long time to see them fulfilled. [LIGHT CANDLE #3 AGAIN] Candle Three was a candle of care. The Messiah would shepherd His people in the strength of the LORD. There is no safer place to be than in Jesus’ flock. [LIGHT CANDLE #4] Candle Four will be a candle of peace. Jesus doesn’t just bring peace. He is our peace. The war is over. Jesus is the one who makes peace between us and God. His death on the Cross reconciles us to God, changing us from enemies to friends. When Jesus was born, the angels sang, “Glory to God in the highest and on earth peace to men on whom his favor rests.” Jesus is our peace. 1. As a family, re-read Micah 5:2-5 one more time. Review what you have learned so far during the Advent Season from this passage. 2. What is peace? Peace is not just the absence of hostility. It is the presence of harmony. The Hebrew word for peace is “shalom” which means health and wholeness and harmony. Peace is “the way things ought to be.” What does peace mean to you? Have every family member share something. 3. How is Jesus our peace? In what ways does Jesus bring peace? How does this truth comfort us today? How should we live differently because we know that Jesus is our peace? 4. Who could we tell this to? 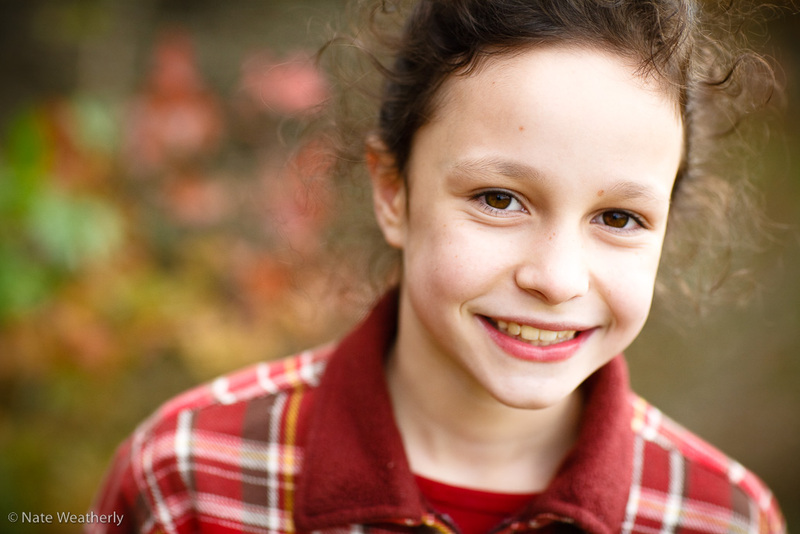 Who could our family reach out to and share about the peace that comes from knowing Jesus? 5. As a family, sing O Little Town of Bethlehem. And she did. In every way she possibly could she supported me. From this Bible she gave me, I’m going to read from the New Testament. The book of 2 Corinthians chapter 4, verse 16 through chapter 5 verse 8. It’s written by the Apostle Paul who was experiencing extreme difficulty. So extreme that he called it a kind of living death. But this is what he wrote in the midst of that extreme difficulty. This passage of Scripture is about heaven. Heaven is what sustained the Apostle Paul when he was going through his living death. His deathful living. Heaven is what gave him hope and power for living through the midst of extreme suffering. And Heaven is what I want to talk about this morning. Because that’s where Linda is. I want to point out three things about heaven from this passage of God’s Word. Three incredibly comforting and powerful truths about Heaven for anyone who belongs to the Lord Jesus. #1. HEAVEN IS WORTH THE TROUBLES OF EARTH. Paul says in 2 Corinthians 4:16, “Therefore we do not lose heart. [We don’t give up.] 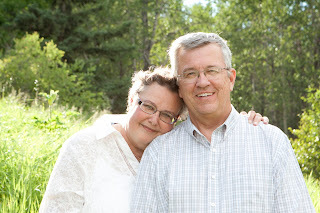 Though outwardly we are wasting away [and that’s what happened to Linda, she had to waste away for several months], yet inwardly we are being renewed day by day [And that happened to her, too. 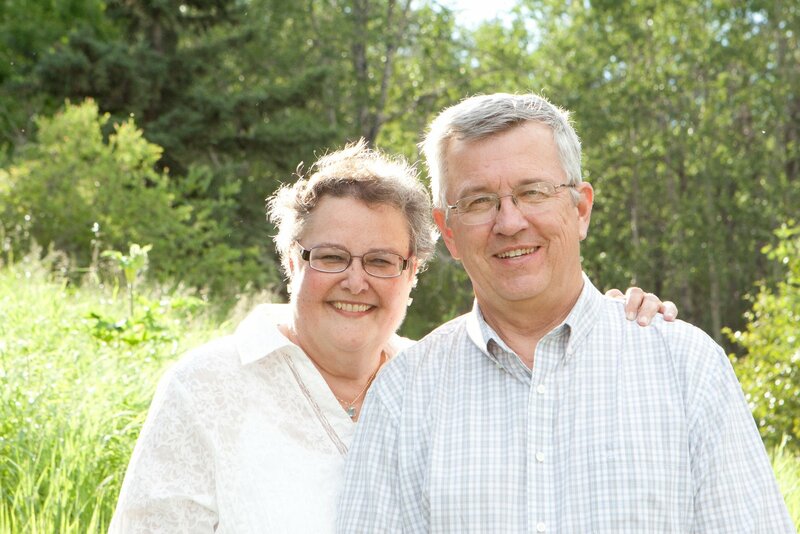 Linda for many months handled her cancer better than anyone else in the family. She was being renewed day by day. v.17]. For our light and momentary troubles are achieving for us an eternal glory that far outweighs them all. So we fix our eyes not on what is seen, but on what is unseen. For what is seen is temporary, but what is unseen is eternal” [That’s 2 Corinthians 4:16-18]. The Bible says that we fix our eyes not on this world and what we can see now but on that world and what we cannot see right now. What is unseen. Why? Because this is all temporary. But that is eternal. Heaven is the eternal enjoyment of God’s glory. And heaven is worth all of the troubles of earth. Heaven is eternal. And it is the constant enjoyment of God’s glory. And it far outweighs all of the trials and tribulations and troubles of this life. But they don’t really believe it. They just say it. I have a friend who has lived through some nasty cancer. And once, when I saw him, he said that his treatments were going well, and that he’s on “the right side of the flowers.” And I know what’s he’s saying. But it’s not true. If he truly belongs to Jesus, right now, he’s on the wrong side of the flowers! Linda is on the right side of the flowers. The side that “far outweighs” it all. Heaven is worth it. Heaven is worth the troubles of earth. And Linda had a lot of troubles on earth. She had a great life, but it was not without major suffering – heartaches, accidents, health troubles, miscarriages, and so on. But Mum fixed her eyes not on what is seen, but on what is unseen. Because she knew that heaven was worth it. She lived out her favorite Scripture verse (Isaiah 40:31). She “hoped” in the LORD, and He renewed her strength. She soared on wings like eagles. She ran and didn’t grow weary. She walked and didn’t faint. Of course, she did grow weary. She did faint physically. 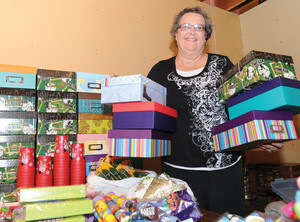 Mum fixed her eyes on what was unseen and served children around the world with gifts of big love in little shoeboxes. She knew that heaven was worth the trouble of earth. It “far outweighs” it all. #2. HEAVEN IS NEW LIFE IN A NEW BODY FOREVER. The apostle Paul goes on to say this in 2 Corinthians 5: “Now we know that if the earthly tent we live in is destroyed [He’s talking about our bodies], we have a building from God, an eternal house in heaven, not built by human hands. Meanwhile we groan, longing to be clothed with our heavenly dwelling [our new bodies], because when we are clothed, we will not be found naked [a bare soul]. Linda and John did a lot of camping over the last 40 years. They met at Christian camp out on the island. And they did a lot of camping through the years. 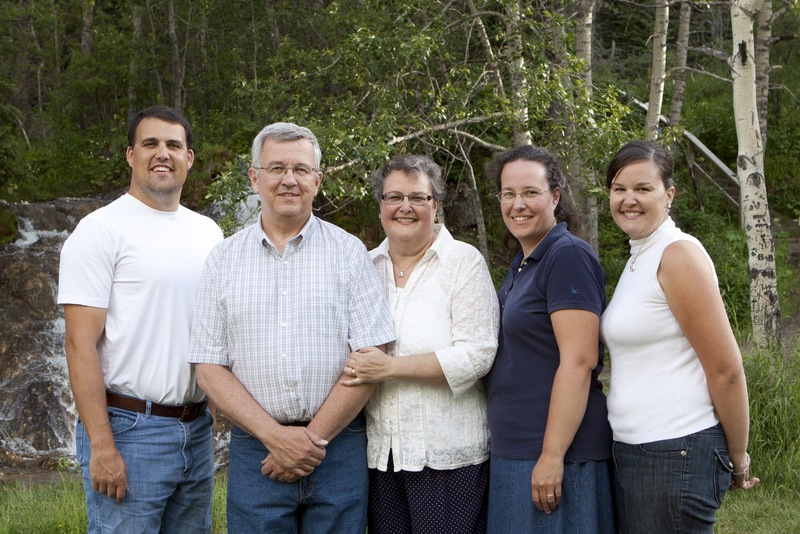 The Lundeen family pretty much camped all over North America. They took Heather to Moody to meet her eventual husband basically by camping across the continent! I’m very thankful for their camping trips! And there are some good stories about camping with Mum. You should ask the family for some. John says that Linda was always prepared for everything. Everything was packed. Picnics, supplies, everything. She was never caught unprepared. Except maybe for that huge storm when Heather was a baby. John was literally holding up the tent poles in the little pop-up camper while the tornado or whatever it was raged outside. And then Linda waded through some water looking for where the bridge was and directing John to drive the car with the trailer behind it. And tiny little Heather slept through the whole thing! John told me yesterday that once they were camping up at Johnston’s Canyon and the people at the next campsite were having a party that went on and on and on and got louder and louder and louder. And at some point late in the night, she’d had enough...Linda put on her housecoat and went next door. But she also knew that one of the best parts of camping is ... coming home! Isn’t it? It’s okay to live in a tent for a while. But eventually you want to get home to your own bed, right? A real roof over your head. Here in 2 Corinthians, Paul is calling this body, our earthly bodies, a tent. We’re camping right now. Everybody in this room is camping right now. And camping is, by definition, temporary. But there is an eternal dwelling–a heavenly dwelling–a new body that is on order, on the way. And one day, in the New Heavens and New Earth that is coming, those who belong to Jesus will have those new bodies. Paul said it this way in Philippians chapter 3, “[O]ur citizenship is in heaven. And we eagerly await a Savior from there, the Lord Jesus Christ, who, by the power that enables him to bring everything under his control, will transform our lowly bodies so that they will be like his glorious body” (vv.20-21). Heaven is new life in a new body forever. A new body not hurt by car accidents. A new body without artificial knees. A new body not devastated by abdominal cancer. New bodies that never fail and never die. FOREVER. But Heaven is even better than that. #3. HEAVEN IS BEING AT HOME WITH THE LORD. This is what really makes Heaven, Heaven! Paul goes on to say in 2 Corinthians 5, verses 6 through 8. Listen to verse 8 of that again. This what makes Heaven, Heaven. Though we will. I believe that Linda is with her son Nathaniel and my daughter Charis and her in-laws and with many many others whom she loved in this life. Though we will if we belong to Jesus. Heaven is not even primarily about enjoying our new bodies. Though we will, and the Bible makes a big deal out of it. Jesus is what makes Heaven Heaven. And Linda understood that. This Fall, when Mum found out that her treatments were coming to an end, she got even more joyful than she had ever been. You know why? I said it was like this. She knew where she was going. And she’d just gotten her tickets! Linda is at home with the Lord. Linda is away from her body, but she is at home with the Lord. My little 3 year old niece, Piper Quinn Lundeen was in the room when Nana died. And David and Yvonne told her that Nana had gone to heaven. Linda is away from her body, but she [the real Linda] is at home with the Lord. The question is. Are you going to heaven? Linda had her bags packed. It couldn’t come fast enough the last month and half. Memorial services honor the dead but they are for the living. You see, you have to be a citizen of heaven already to go there. Many people don’t understand that. They think that they are just headed there by default. But heaven is not our default destination. You have to become a citizen of heaven already to go there when you die. 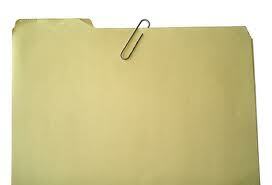 This is Linda’s file on becoming a citizen of Canada. But she was, at heart, a California Girl. Apparently, you can take the girl out of California, but you can’t take California out of the Girl. Mum came close several times to becoming an official Canadian citizen, but she never did. And as much as she loved Canada, she dearly loved her United States. Her family celebrated both Thanksgivings and the 4th of July. Linda was a citizen of one nation living in another. And she never quite made the switch. And that doesn’t matter. Not one bit. But she had made her application for citizenship in heaven. Linda had trusted in Jesus Christ and what He did for her on the Cross. Jesus died as a sacrifice for sin, paying the penalty for sin on the Cross. And Linda repented of her sins and turned to Jesus for salvation. And became a citizen of heaven. That’s how we know where she is right now. And that’s what she wanted for all of you. Just last week, she could say only a few short things at a time. Heather tells me that she would say 4 or 5 words and then be silent for hours. And she wanted you to join her. I invite you in your heart of hearts to turn from your sins and to put your trust in the Savior, the Lord Jesus Christ. Trust in what He did for you on the Cross. And ask Him to make you a citizen of heaven. Heaven is worth the troubles of earth. Heaven is being home with the Lord. I’ll make my application later. You may not have a later. Turn from your sins and trust in Jesus. And become a citizen of heaven. Does the Bible have a unifying theme? Professor and Pastor Jim Hamilton argues that the Bible can be summarized as "God's Glory in Salvation Through Judgment" (the title of his newest book). I recently had the opportunity to listen to a short presentation he did on this thesis. Very well done and thoughtful. I'm not sure what all of the competing summaries are, but I found this one very compelling. I've been helped by Hamilton before. Back in 2008, when I was preaching on the Person and Work of the Holy Spirit, I was helped by his writings and by a personal email conversation with him. Last year, I was both encouraged and edified by his presentation and arguments for the classic premillennial position with strong proponents of the other major views. Now, I'm listening to his series on the book of Revelation. The sermon on Revelation 20 was really good. (I listened to that out of order when I was working through some eschatology last year). Thanks, Dr. Hamilton for your careful scholarship and Christlike demeanor! This Advent season, we are hearing about God’s promises of a Savior to come that God gave through the prophet Micah. Our first candle was a candle of surprise. God loves to do the unexpected. Our second candle was a candle of promise. In having Jesus born in Bethlehem, God was faithfully keeping an ancient promise. Jesus is the Good Shepherd, and there is no safer place to be than in His flock. There is no stronger name than the name of the LORD. 1. As a family, read Micah 5:2-5. Re-read verse 4. Make a list of all of the phrases that emphasize the Messiah’s care for His people. 2. Why does God call the Messiah a shepherd? How are we like sheep? How is Jesus like a Shepherd to us? How strong is Jesus’ shepherding according to verse 4? 3. Go around the family circle talking more about Jesus’ care for you. What are specific ways that the Lord is caring for our family right now? What prayer requests does our family have right now that we can ask the Lord to care for? Pray for them together. [Matt's Messages] "Why Did Jesus Come?" We’ve almost reached that part of the Gospel of Luke where Jesus enters Jerusalem. This message and next message and then Jesus will enter Jerusalem and begin what we call Passion Week or Holy Week, the week that Jesus suffered and died. But we do. We know what He’s talking about. And it’s all about to unravel. But before He enters Jerusalem, He has two encounters near and in Jericho, the rebuilt city. One encounter is with a very poor man. The other encounter is with a very rich man. One poor man, one rich man. That’s exactly what these two men were. A rich man who was a thief. And a poor man who was a beggar. And they both needed the exact same thing–Jesus. Christmas is now less than 2 weeks away. Is anyone ever really ready for Christmas? One of the most important things to do to get our hearts ready for Christmas is to remind ourselves of why there is a thing called Christmas. Christmas is that celebration of the birth of Jesus Christ. His first advent. And we all know (or at least we should) that advent means.......coming. What motivated Jesus’ first advent? Why the announcement to Mary, the announcement to Joseph, the tough trip to Bethlehem, no room in the inn, giving birth “out back,” the angels, the shepherds. Well, today’s passage tells us very clearly. And it is illustrated by these encounters with these two men. Let’s start with the beggar man. Chapter 18, verse 35. “As Jesus approached Jericho, a blind man was sitting by the roadside begging. When he heard the crowd going by, he asked what was happening. They told him, ‘Jesus of Nazareth is passing by.’ He called out, ‘Jesus, Son of David, have mercy on me!’” Let’s stop there for a second. Now, I can hardly imagine what it would be like to be totally blind. This man was blind. He could not see. And his only means of living was by begging. Can you imagine? Sitting by the roadside begging. And he hears a commotion. Somebody important is coming by. Who is it? They emphasize Nazareth. “Nowheresville. Can anything good come from there? But this blind man could see with the eyes of his heart! He has heard about Jesus, and he believes in Jesus. He’s calling Him the king! He’s calling him the Son of the Annointed King. He’s calling him the Messiah. He could see some things very clearly! And he asks for something very clearly. This is the last overt miracle in the gospel until the Resurrection. On the way to Jerusalem, this nobody blind beggar recognizes Jesus for who He is, and he asks for mercy and gets it. And the blind can see! #1. TO BRING HELP TO THE HELPLESS. The biblical word for that is mercy. Help for the helpless. Mercy. Jesus came to help those who cannot help themselves if they will only recognize Him and trust Him. Jesus came that first Christmas to bring help to the helpless. Remember how we saw that back in chapter 4? Jesus came to bring help to the helpless. Are you helpless? Then take heart. Jesus cares and is willing to do something about it if you will recognize him and trust in Him. Praise God that he gives mercy to the needy. Praise God that he helps the helpless because Jesus came. Now, that’s the first encounter with the poor man, the beggar man. How about that rich man, the thief? Chapter 19 starts with a man named Zach. Chapter 19, verse 1. Now, we all know this story, don’t we? The song is running through most of our heads. This guy was a “chief tax collector.” He was the big Kahuna in Jericho. The tax collector of tax collectors. So, if tax collectors were hated as sell-outs and traitors to the Romans who were kind of like the legalized mob. This guy was the like the Kingpin of that legalized mob. He was wealthy and he’d done it on the backs of the regular people. He was a sinner in every sense of the word. He wasn’t a nice little man. He was an evil little schemer. I always think that if Luke was a movie, Danny Devito should play Zacchaeus. Now, what we did we learn last week about rich people being saved? Easy or hard? Or somewhere in between? But Jesus what? Does the impossible. He’s a very resourceful man. And now he has a good vantage point to watch this Jesus (unnoticed) from above. How did He know his name? I don’t know. Maybe supernaturally. Maybe Zacchaeus was infamous in Jericho. Did you notice that? He’s got to do it. Jesus has. It’s part of why Jesus has come! It’s His mission. Does that connect in your brain to Luke chapter 15? To the black hats and the white hats? Which one is Zacchaeus? He’s a black hat. Oh man, is his hat black! He is a sinner! And he’s a rich sinner. How hard it is for a rich man to enter the kingdom of God! It’s easier for a camel to go through the eye of a needle. Zacchaeus is a sinner. A bad one. But guess what? That’s why Jesus came! What was Abraham the father of? Zacchaeus has faith! Genuine faith. And faith in Jesus. And that means....salvation! Wahoo! Jesus Came to Bring Salvation to Sinners. Do you know how Jesus knew that Zacchaeus was saved? Because he did what the rich young ruler was unwilling to do last week. Let go of your money. Be generous. Whenever there is real faith, there will be real fruit. Real repentance. Don’t believe someone who says that they are saved who aren’t changed at all. Salvation, when it comes, changes us. It doesn’t make us perfect. But it starts on the hard road of sanctification and growth. And it’s really obvious when salvation makes us generous. When repentance makes us generous! One writer says, “You may have reached a sticking point in your spiritual development, and you wonder why. You read your Bible, your language has changed, and you are honest. But regular, generous giving? Well, you are not quite ready for that. Therefore, you do not keep growing in your soul. Zacchaeus was ready because he was regenerated. He was ready because he was enlarged. The gospel makes little men big!” (Kent Hughes, Luke, Vol 2, pg. 226). Zacchaeus was changed by the salvation that had come to his house. Not just repaid but four times the amount stolen. The thief has been saved. What came to his house? Salvation. Who came to his house? Jesus. In other words, verse 10. That’s the reason for the season. That’s the reason for Christmas. That’s Jesus’ purpose in coming. #3. TO SEEK AND TO SAVE WHAT WAS LOST. Now, that should remind you of Luke 15. Something lost, a desperate search, and when it is found...what? A party! God’s own people were lost. And Jesus came to seek them and to save them. Christmas is about Good Friday and Resurrection Sunday! And save that which was lost! As we go into these last two weeks until Christmas, we need to keep this squarely in our minds. Christmas is not about ... fill in the blank with whatever false messages that are out there. Christmas is about Jesus coming to seek and to save what was lost. Now, there are two applications to that. And the first is for those who are still lost. Trust in what Jesus did on the Cross for you. And begin to follow Him by faith. Don’t stay up in that tree. Salvation is free, and it’s seeking you. But you have to receive it. He can turn around the most wicked life! He can fix the most broken things! He can bring salvation to the vilest sinners. ... And for all who have come down. See all of the joy of these two very different men? One poor, blind, begging. He (18, v.43) follows Jesus praising God! Salvation comes to both of them. He brings...Joy to the World. [Matt's Messages] "Jesus Does the Impossible"